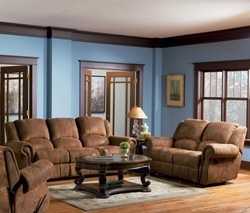 The Rawlinson collection offers comfortable and stylish seating for your casual living room or family room. Plush split back cushions and deep pad over chaise seats are covered in a rich medium brown distressed microfiber, while elegant flared arms with classic nail head trim create a sophisticated accent. Hardwood frames are durable, with sinuous spring support for long lasting comfort. 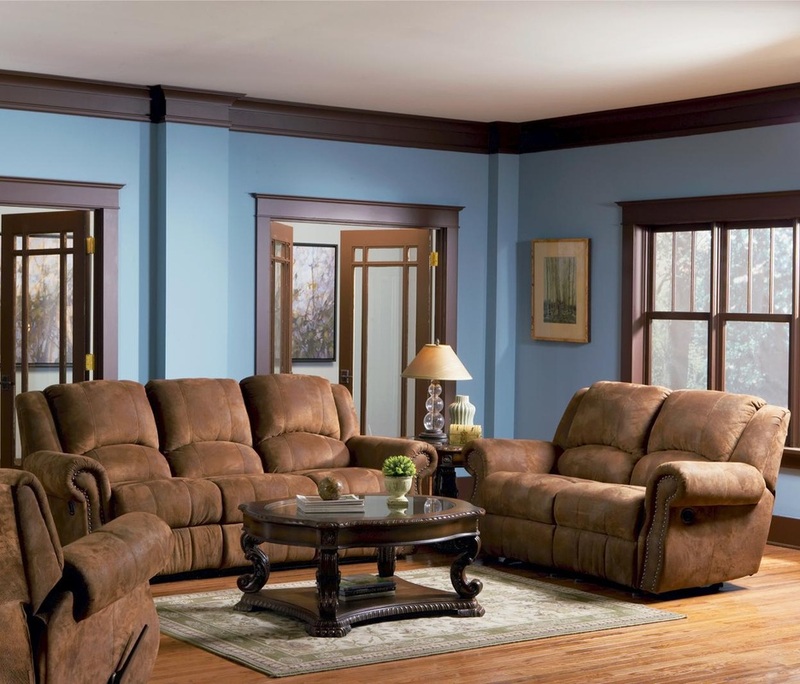 Add this double reclining sofa, double reclining rocking loveseat, and recliner to your home for a cozy place to spend time with family and friends.